Our Well Technicians are licensed by the Ontario Ministry of the Environment. 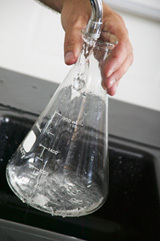 Is hard water, staining, odour or taste affecting the quality of your tap water? soft, crystal clear, odour & worry free. Clearflow Pumps & Water Treatment offers a full range of only the highest quality, North American made Water Treatment Systems and Pumps for the Residential, Commercial and Industrial markets. At your request and convenience, Clearflow Pumps & Water Treatment will send a professional, Water Quality Association Certified Water Specialist to your home or business to examine and analyze your water at no cost and with absolutely no obligation or pressure to purchase. After carefully analyzing your water, our technician will recommend a system that will transform your troubled tap water into the safe, clean, crystal clear water that you need. 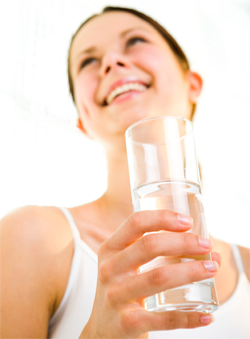 Request a Free Water Analysis now! Serving the greater Toronto area, Kawarthas and more: including Toronto, Bowmanville, Newcastle, Newmarket, Lindsay, Uxbridge, Port Perry, Stouffville, Markham, Peterborough, Haliburton, Coboconk and everywhere between. From Water Softeners and Whole Home Water Purification Systems to Pressure Tanks and Well Service, Clearflow Pumps & Water Treatment Ltd. has the system you need to make your water Safe, Clean and Crystal Clear.